Long-term customer care is our priority. We want our bikes to serve their owners for as long as possible. That is why we build them to last. 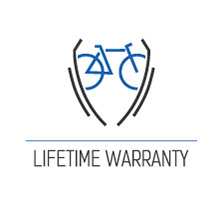 Our lifetime warranty makes sure that will happen.